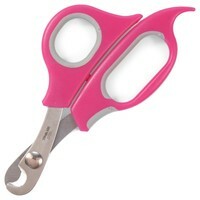 Ancol Ergo Cat Nail Clippers are easy to use scissor action trimmers for your cat's nails. They are safe, accurate and have a comfortable, anti-slip handle. Especially designed for cats that dont have alot of regular outdoor activities. Full advice on cutting and grooming your cats nails is on the reverse of the products packaging. Good quality at a great price, a must have for all cat owners and easy to use.